The latest round of fixtures for LaLiga saw several key results at both ends of the table, for those fighting for a title and for those battling against potential relegation. As has been the case multiple times already, we also have a new team in first place following the weekend’s matches. Action began on Friday evening in Madrid, as Rayo Vallecano hosted Eibar. Coming off their resounding win over Real Madrid in the previous week, many were expecting Eibar to take maximum points. Instead, a resilient Rayo side saw out an important 1-0 triumph. Celta Vigo started Saturday’s games off with a comfortable 2-0 home win against Huesca. Leganés and manager Mauricio Pellegrino were able to finally capture three points away from home, producing a marvellous 4-2 victory at Real Valladolid to move further away from the drop zone. Getafe dominated Espanyol in a 3-0 win. The result is the Catalan club’s third consecutive loss. Real Madrid returned to winning ways to finish the day’s matches, securing a 2-0 victory versus Valencia at the Santiago Bernabéu. Sunday’s early kick-off saw Real Betis earn three points against Real Sociedad, with Junior Firpo’s first-half strike being the difference in a 1-0 result. Girona and Atlético Madrid played to a 1-1 draw. 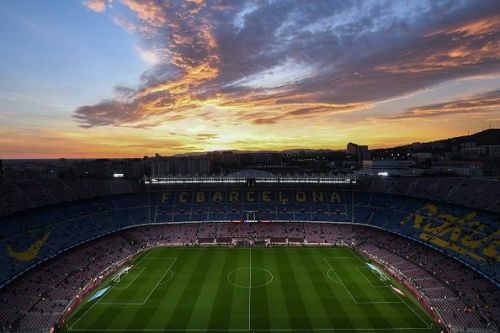 Barcelona regained their place at LaLiga’s summit after a 2-0 win against Villarreal at the Camp Nou. Alavés and Sevilla shared the points in the day’s last fixture, finishing 1-1. Barcelona are now one point ahead of Sevilla in first place. Athletic Club's disappointments continued on Monday evening, falling 3-0 at Levante. The Copa del Rey returns this week, with the Round of 32’s second legs resuming on Tuesday. 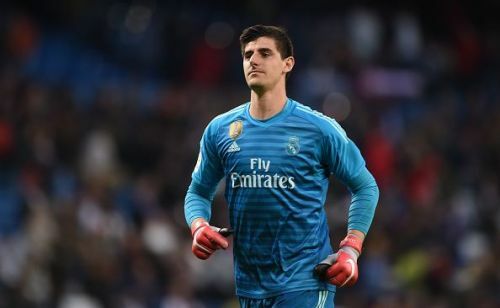 It was a summer full of drama for Thibaut Courtois, as he helped to engineer a move away from Chelsea to Real Madrid. The saga made him a bit of a villain and may have created difficulty adjusting to his new team quickly. However, recent performances like Saturday against Valencia show a talented player becoming quite content in his new setting. Courtois recorded two saves on the night and communicated effectively with his back-line. It was the Belgian shot-stopper’s fourth clean sheet of the 2018-19 league campaign.